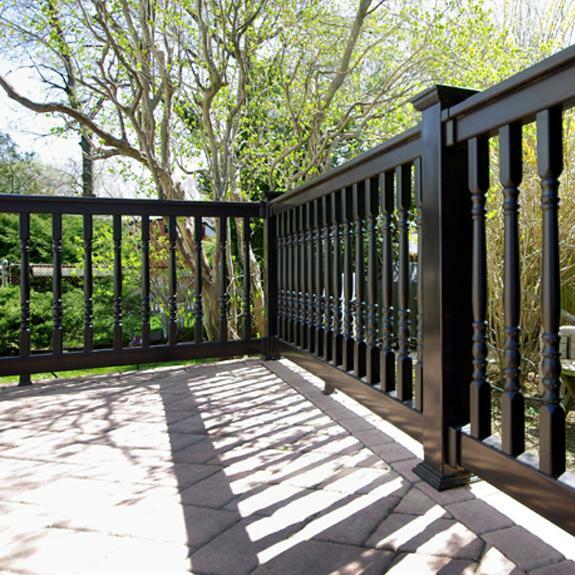 Illusions® Vinyl Railing is the most colorful railing solution on the market, and made to the highest building code standards in the nation. 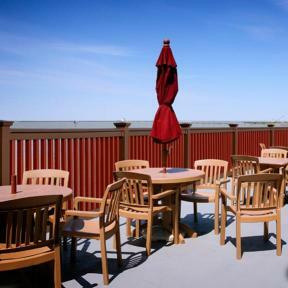 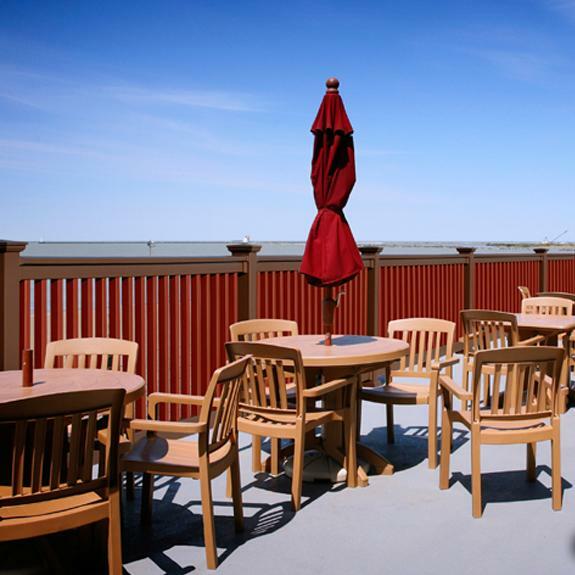 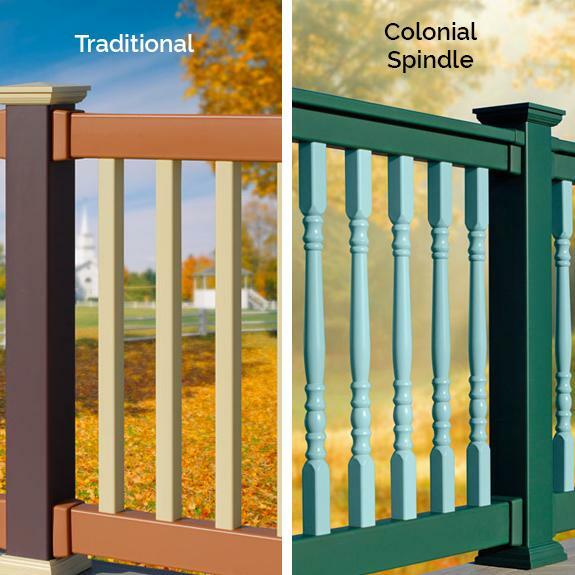 With a range of 35 colors, four woodgrains, three types of top-rails and two types of balusters, this railing is customizable and very low maintenance. 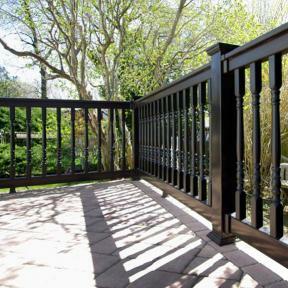 The professionals at DecksDirect are happy to help you choose the Illusions® components that will work best for your property! 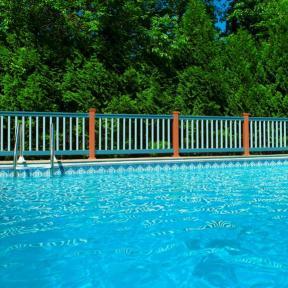 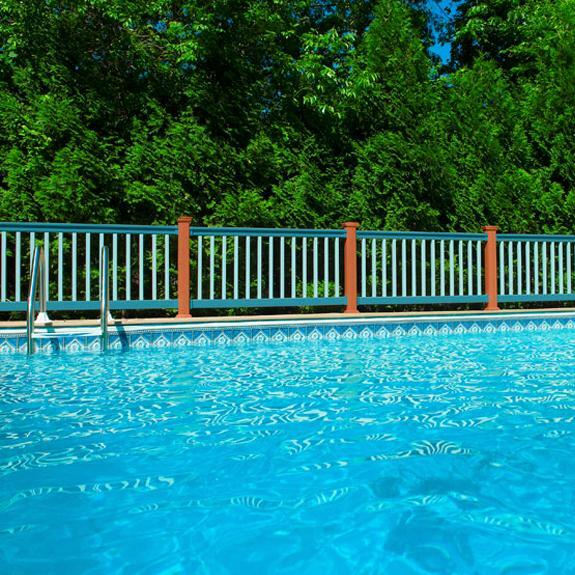 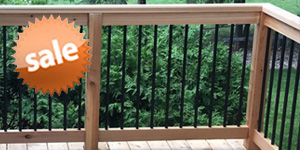 Illusions® Vinyl Railing is custom-made just for you in only 3-4 weeks. 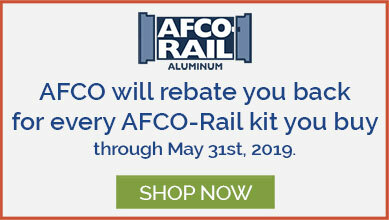 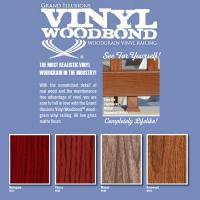 Check out the options below and give us a call to get a free quote. Mix and match your rails, balusters, and posts with 35 different colors and four of the most realistic vinyl woodgrains in the industry with Vinyl Woodbond. 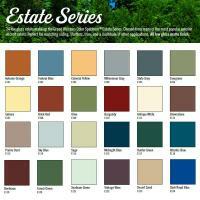 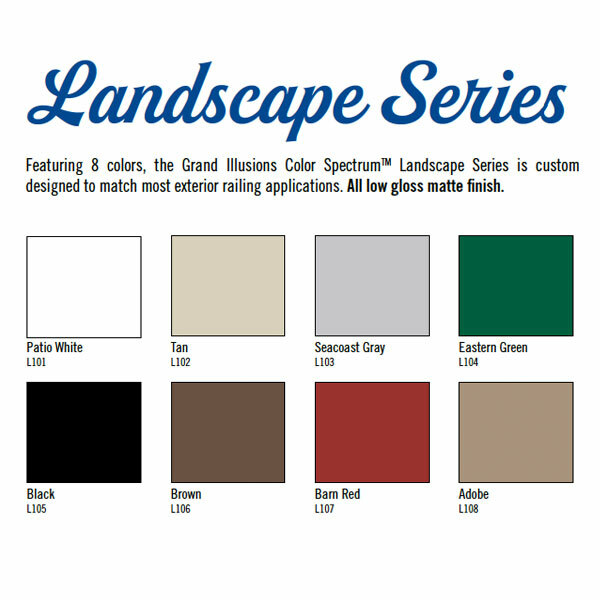 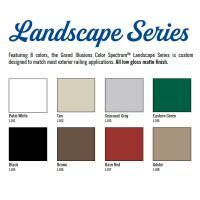 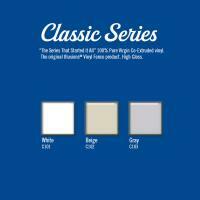 The Glossy Classic Series and Matte Landscape Series are designed to match most exterior applications. 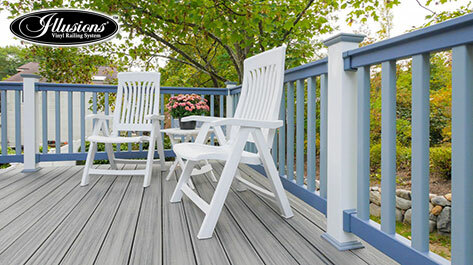 The matte Estate Series is made for the most popular accent colors, and matte Vinyl Woodbond features all the detail and color of real wood with none of the maintenance! 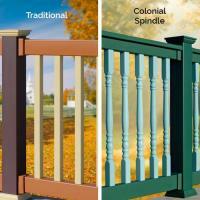 Choose from Traditional Square Balusters or Colonial Spindle Balusters. 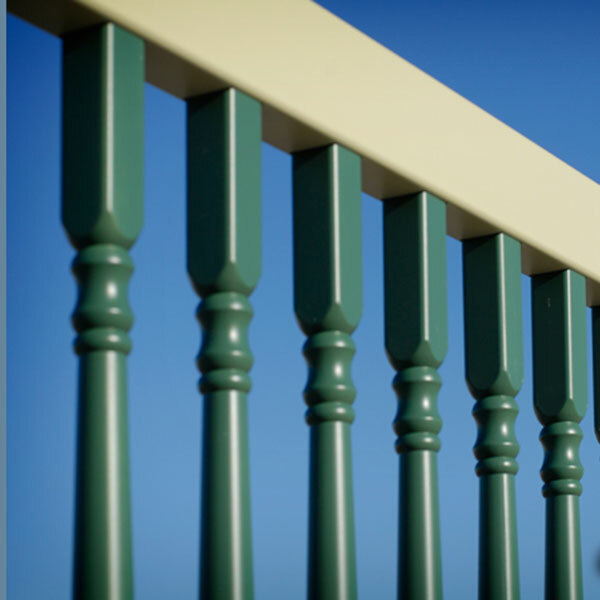 Match your balusters to your rail color for a clean look or choose a contrasting color for a completely custom design. 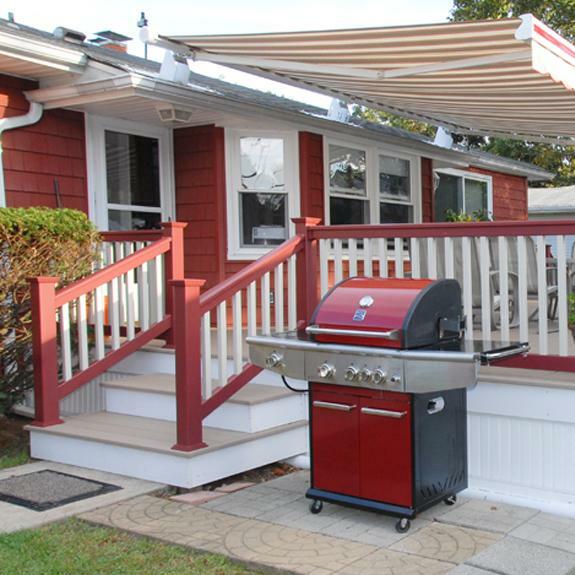 Provide our team with your preferences and your job specifications, then we'll do the rest. 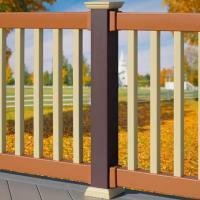 Top off your railing with an ornamental post cap. 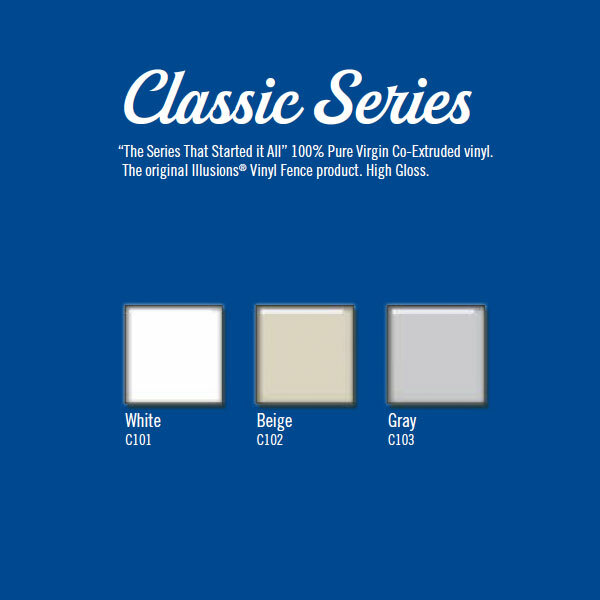 Available in eight designs including solar options. 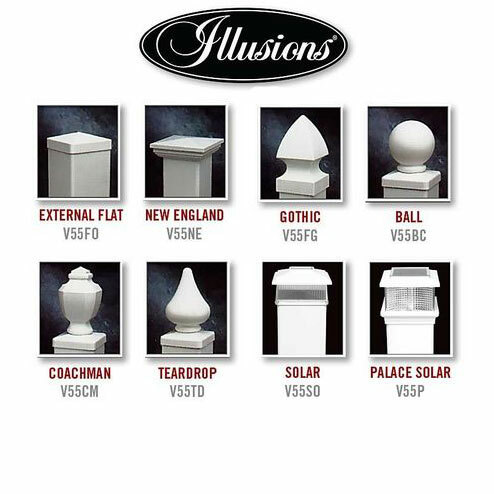 Post Caps come in all 35 Illusions® Vinyl Railing color options. 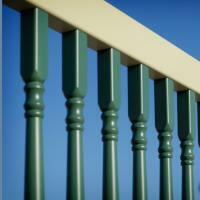 Structural posts are a long-lasting and durable alternative to standard wood newel posts. 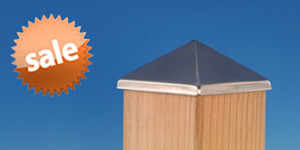 Hardware available for both wood and concrete applications. 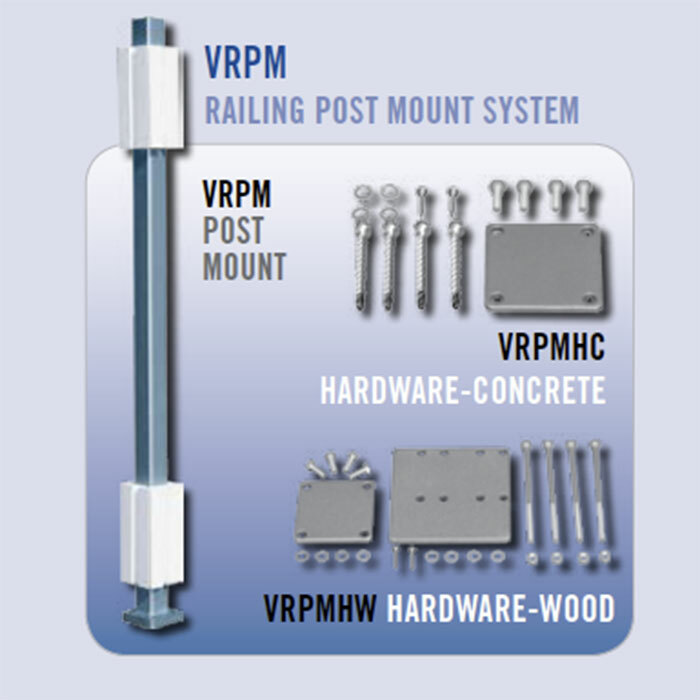 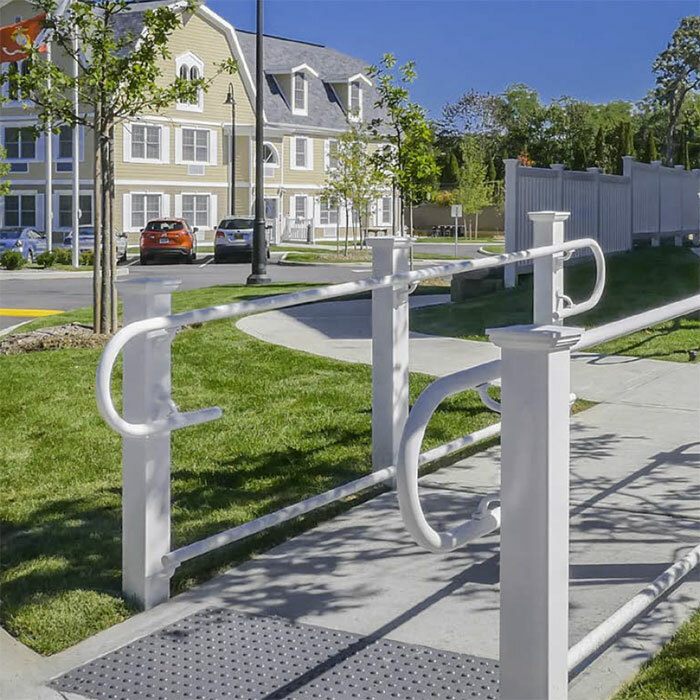 This ADA Railing System allows you to create a continuous code compliant handrail on any stair or ramp. It's Unique adjustable internal joiner accommodates any angle. 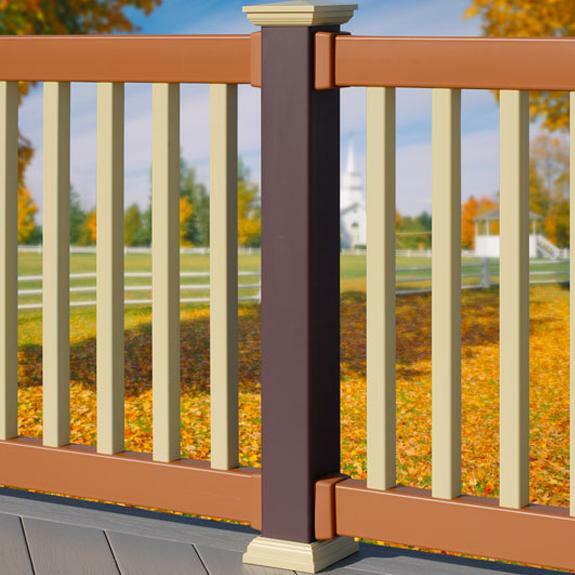 Illusions® Vinyl Railing offers a 48 in high newel post perfect for adding interest to any deck railing. 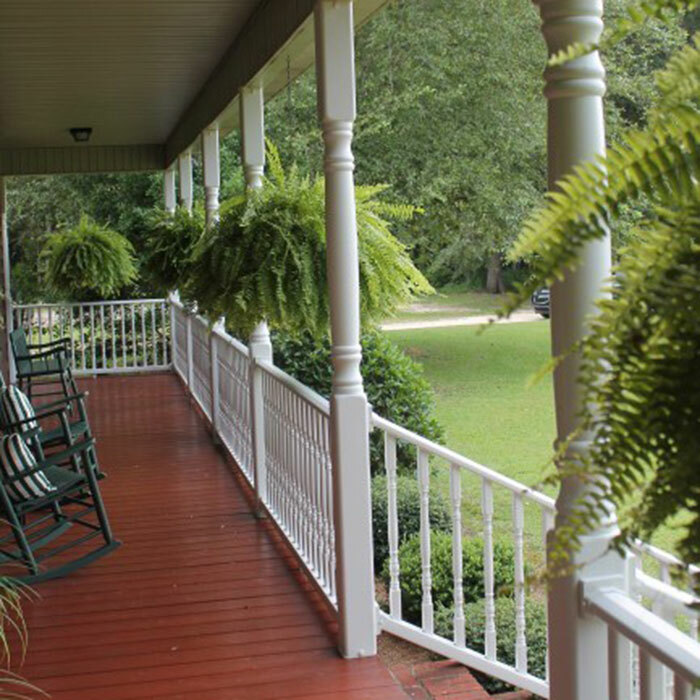 Their 108 in Porch Post is load bearing up to 3,400 lbs.